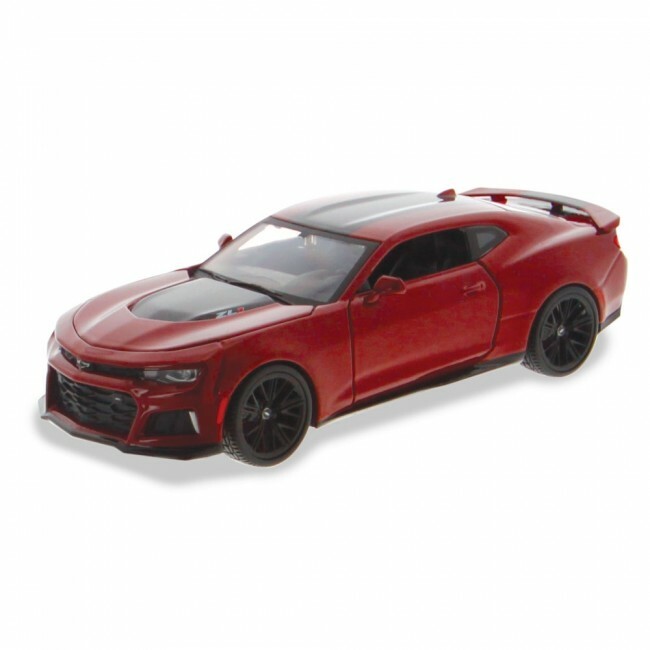 Check out the details on this 1:24 scale 2017 Camaro ZL1 die cast! Features a custom electrostatic paint coating, highly detailed exterior, interior and engine compartment. Opening hood and doors and real rubber tires.